The Asus Eee PC Seashell 1215P-MU17 is a conveniently sized and well-specced laptop. It gives you a good mid point between power and portability. It comes with an Intel Atom N550 Dual Core processor and 1GB of RAM (2GB maximum). It inherits the Asus Seashell design, which warrants for slim lines and a good profile over all. This is the black model, a color that enhances the sleek looks of the Seashell series. It is at its thickest directly underneath the screen hinges and tapers off to its thinnest at the opposite edge where the palm rests end. It has chiclet style keys that make for easy typing. The touchpad is set in to its own groove and is not seamlessly fused with the rest of the palm rest area like some of the other netbooks on the market. The touchpad supports basic multitouch gestures. It has as single bar style click button that works for both left and right clicks. The touchpad is slightly fidgety and a laser mouse is recommended for precision work. The keys have a good travel and are comfortable to type on. The increased size over the 10inch models also helps in giving you a better typing experience. The dual core Atom N550 processor ensures that netbook is powerful enough to handle all the daily use apps that the average user needs. This processor is powerful enough to handle copious amounts of multitasking such as multi-tab surfing, document editing and media playback — all at the same time. The 1GB RAM is enough to handle almost every regular use app and buyers have commented saying that they don’t feel the need to install more RAM. If you choose to install more RAM, then the battery life will be lowered by a perceptible amount. 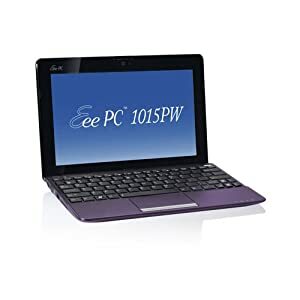 The Eee PC Seashell 1215P-MU17 comes with about 8 hours of back up and is rated for 9 hours officially. User reviews suggest that 8 hours is easily achievable in real life scenarios and more battery life can be eked out by optimizing the system to use less power. This netbook has 12.1inch screen with a native resolution (1366×768), which is a perfect size for users who find 13inch models too expensive and 10inch models to small and slow. For most buyers, this was the ideal compromise. It is a bright screen with good visibility even at 50% brightness. This ensures good battery life because you wouldn’t need to run the system at full brightness all the time. It comes with a 250GB HDD, which is enough to carry around all your important documents and the media files that you want to bring with you when you are away from your workstation. It comes with Wireless-N with b/g compatibility (802.11b/g/n) for fast and flexible WiFi connections. 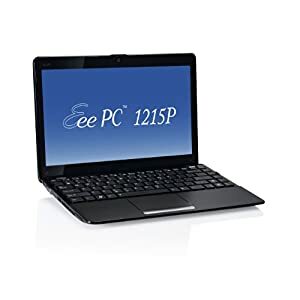 The Eee PC Seashell 1215P-MU17 has very good buyer reviews. Most people love the keyboard, the fast processor, the bright screen and the lightness and portability of the system. The affordable price gives it a very good price to performance ratio.